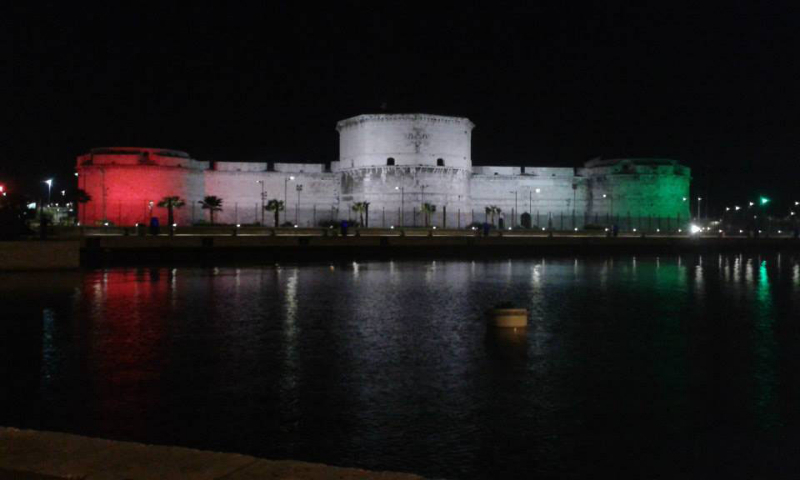 At the entrance of the port, coming from Rome, to our left we find the imposing Forte Michelangelo: located above a huge Roman building of Trajan era, perhaps the seat of the command of the fleet, was built at the behest of Julius II, Giuliano della oak, but we do not know exactly who was the architect who designed the building: the Ponchielli, that probably only examined the work to be done, or maybe Sangallo the Younger, or Bramante, perhaps the male was painted by Michelangelo in the first half of 1500 , it is certain that the fortress is one of the largest of the period, is entirely covered with travertine, the thickness of the walls is of 6/7 m., will stand out a magnificent coat of arms of Paul III and a beautiful frieze composed of lilies symbol home Farnese. 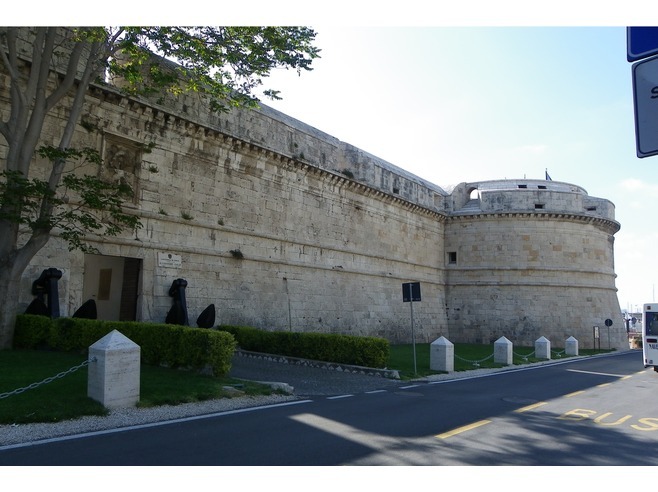 The fort was obviously changed over the centuries: it is filled moat, has changed the entrance, closed the nice porch that ran into the yard to obtain warehouses, the entrance is decorated with two large and majestic modern anchors. 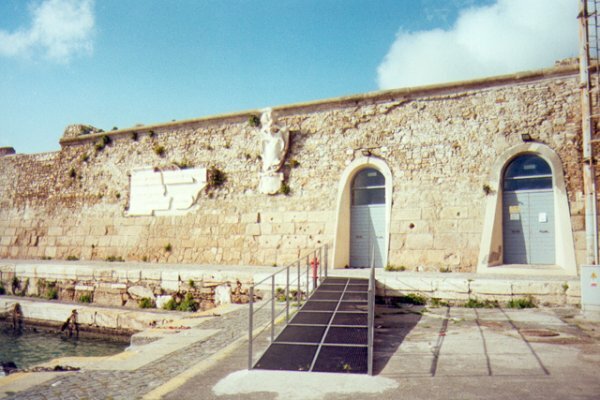 It is now used for art exhibitions, music and theater, which return to the city, this one’s interesting site; to the right as you can see one of the two statues of Santa Fermina, protector of the city and sailors, existing in the port (the other is at the end dell’antimurale). Continuing our route we can see the current port, which is obviously very different from the Roman port, this was commissioned by Trajan in 106 d. C. and designed by the architect Apollodorus of Damascus, was composed, in a manner similar to the major ports of the time, a large almost circular basin of about 500 meters, two large piers, prostheses for about 400 meters and enriched by two towers twins, later called the Glass and Lazzaretto, still visible, and rebuilt by Sangallo; the port was closed by an artificial island, enriched by two other towers, following on the island, which no longer exists, were built the lighthouse, 30 meters high, in 1616 and the Gregorian Fortino in the first half from 800; Bernini in 1660 built a magnificent Arsenal, 50 meters to 6 arches met in groups of two, unfortunately destroyed by bombing in the Second World War; Today the port has changed profoundly, a larger and is still in expansion towards the north of the city. Continuing our journey inside the port on the right we can see the beautiful crenellated walls built by Urban VIII in 1600, interrupted only by the Fountain of Vanvitelli, built in 1743, is a beautiful mask, travertine, from whose mouth gushing a jet water, until after 50 years the sea lapped the sidewalks, where now there are the characteristics fishmongers always supplied with excellent local fish, caught daily and trattorias, continuing on the right you can see the remains of Livorno port, one of the ancient city gates, built in 1761 by Pope Clement XIII, to allow quick access to all those working in the port, as attested by the plaque above the door. Continuing our road you can enter through the gate of the ancient horrea, Roman in the dock, a dock less, the inner part of the port, has the shape of a large rectangle around closed, except for a stretch, communicating with the port , which is used as a transit of vessels, patrol boats and pleasure military patrol boats. 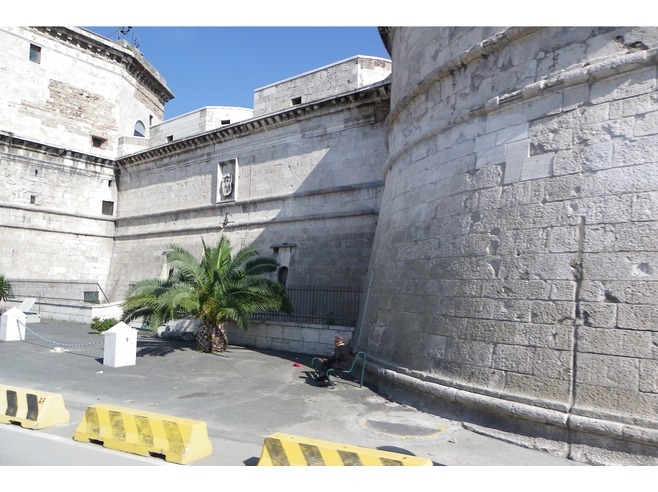 This construction, of course Trajanic, survived intact until the Middle Ages. 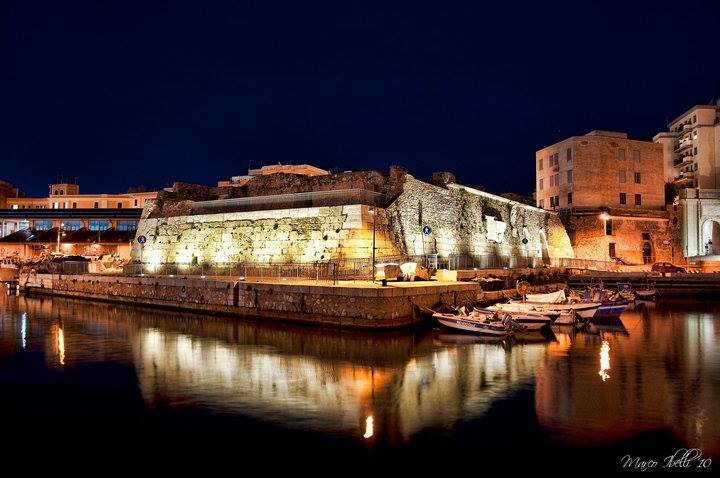 Currently the port is one of the most important economic resources of the city, in fact depart daily ferry to Sardinia, Sicily, Barcelona also there is an intense cruise traffic and commercial that makes the port of Civitavecchia, the most important of the Mediterranean.